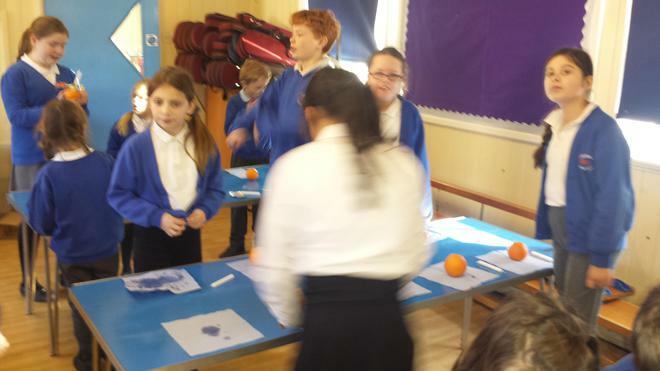 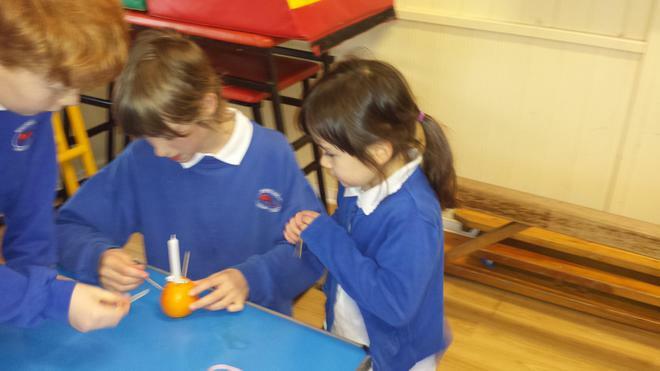 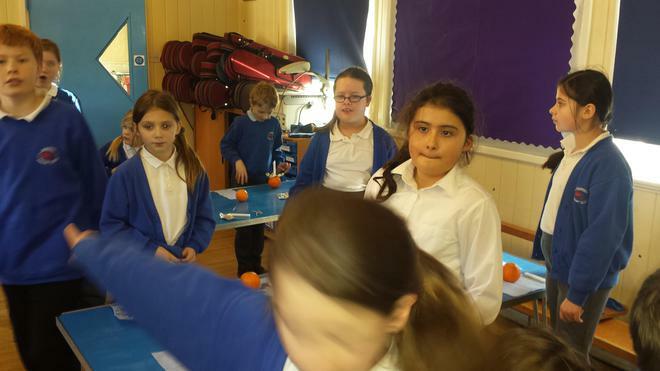 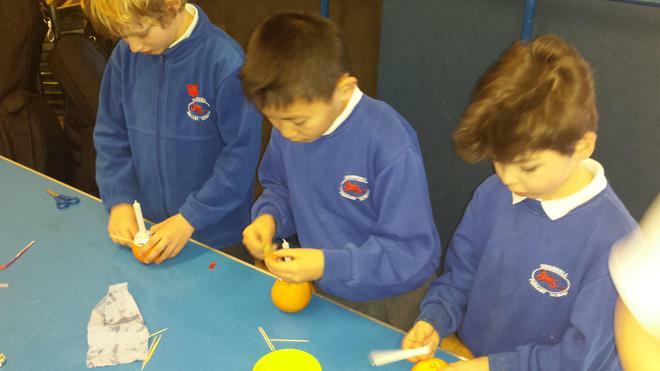 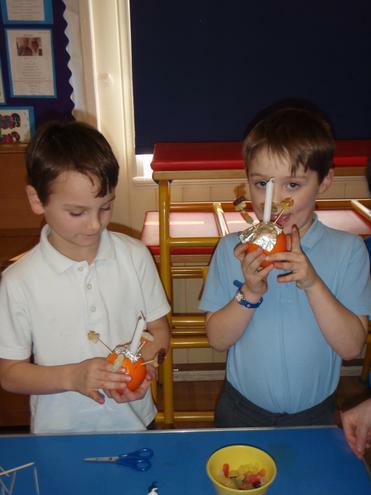 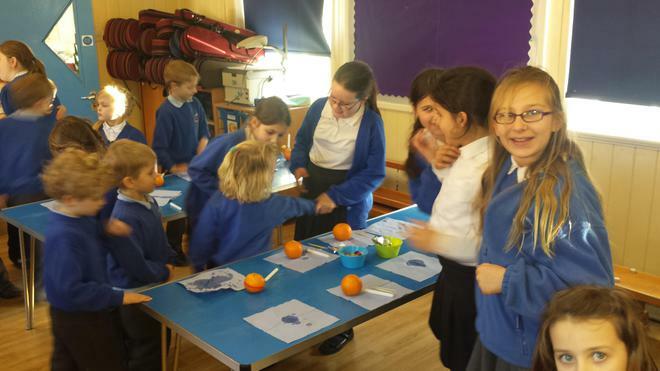 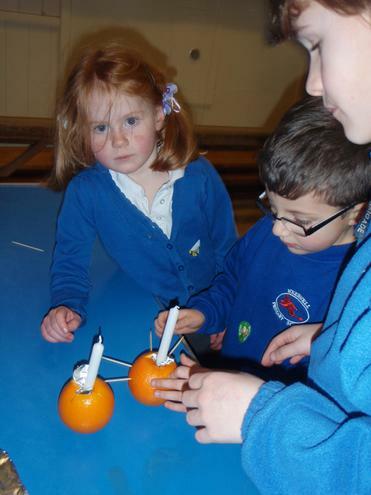 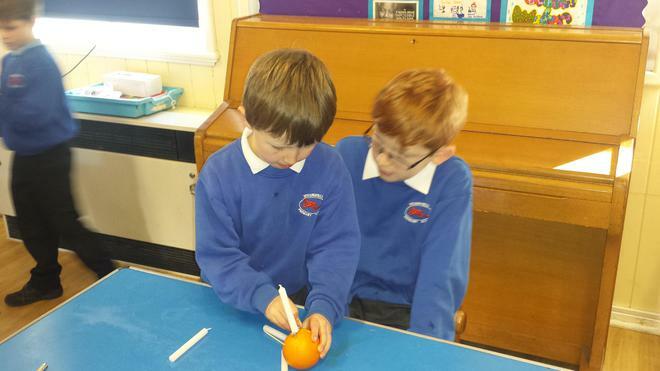 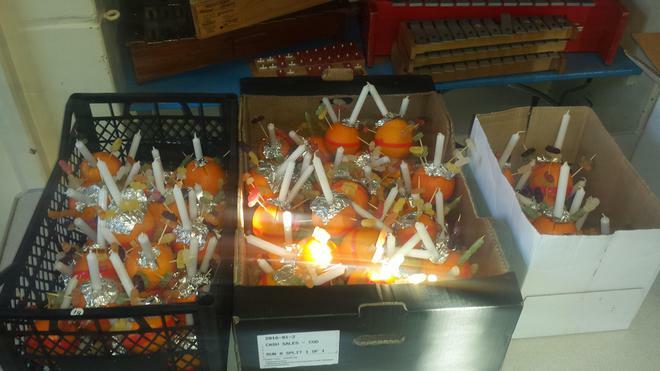 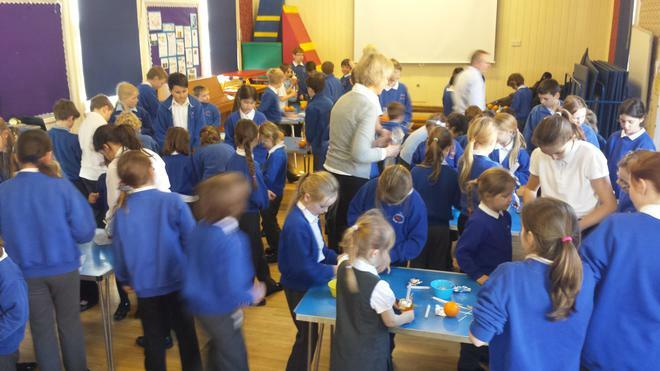 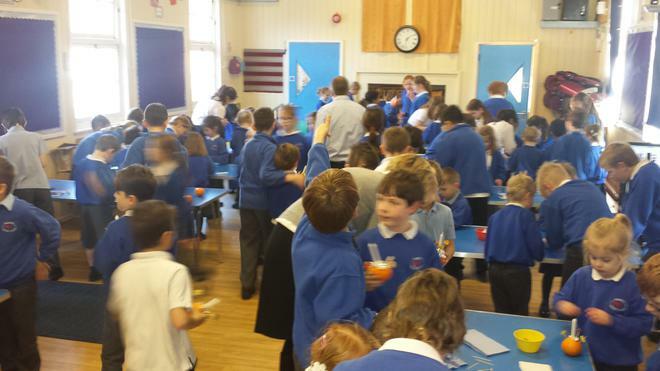 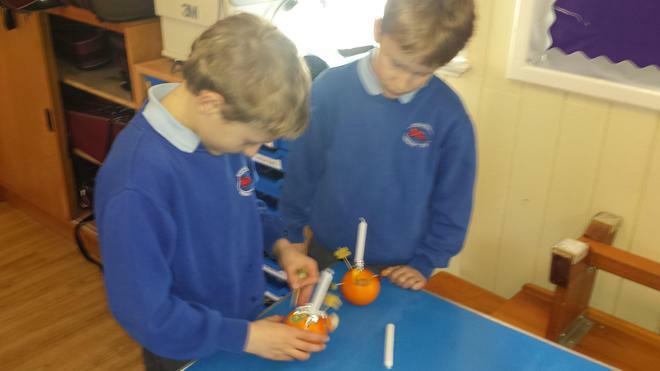 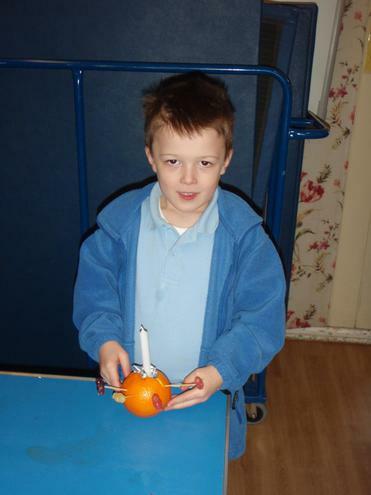 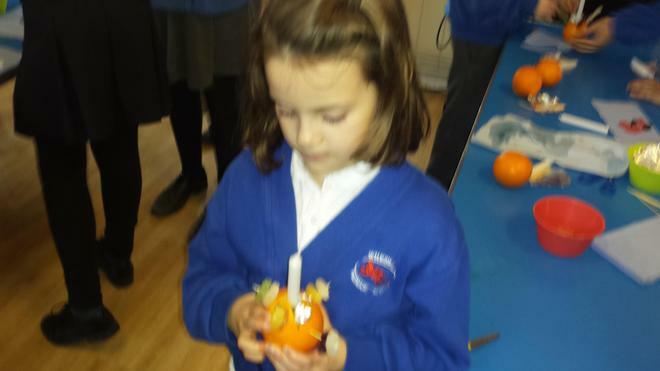 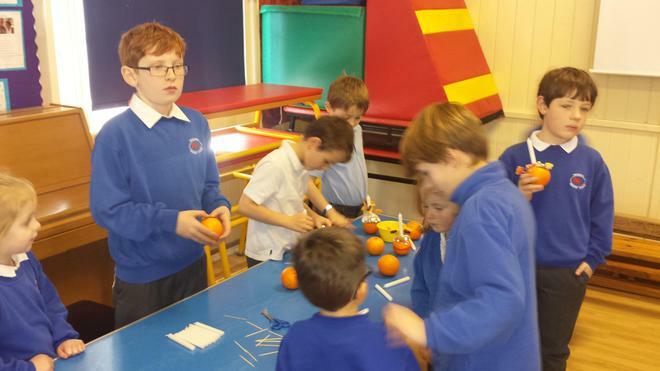 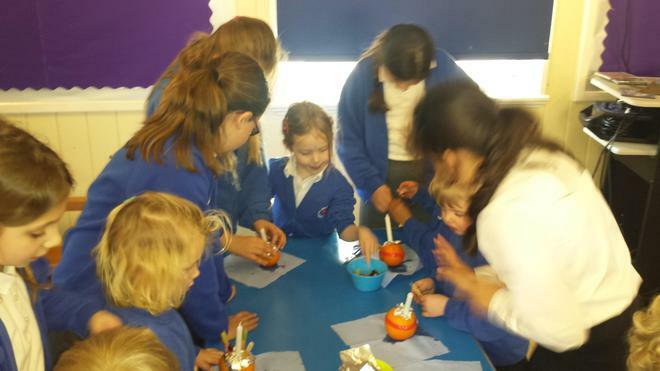 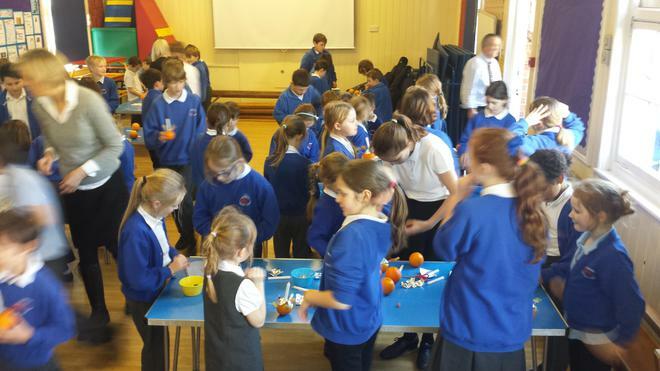 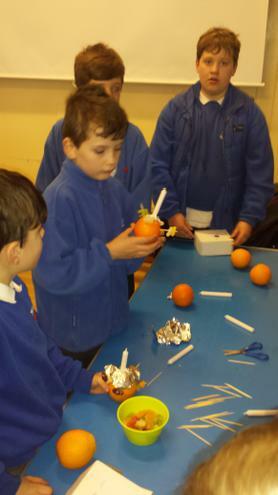 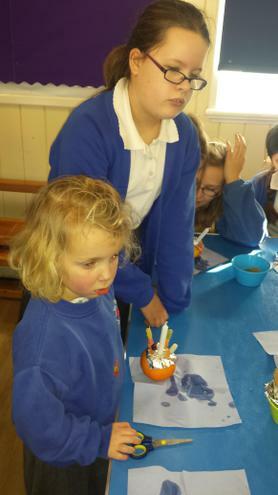 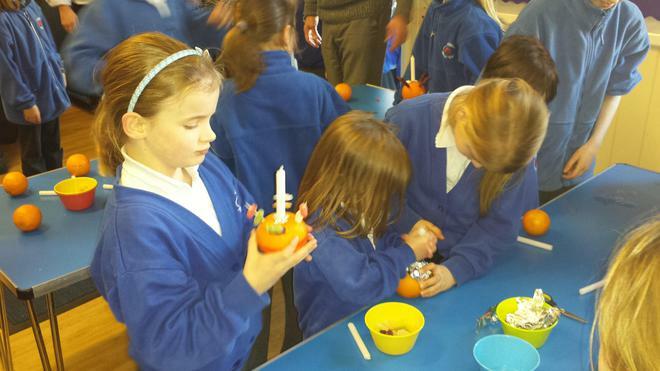 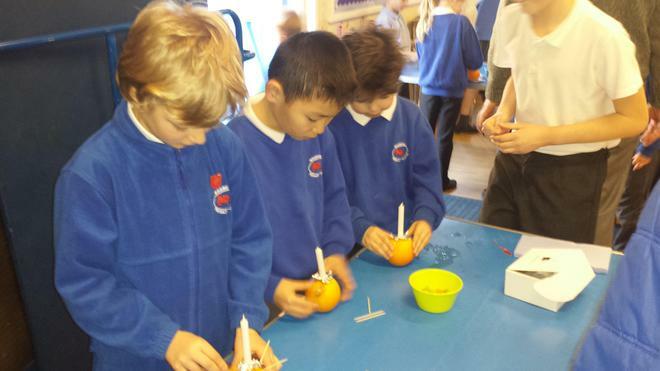 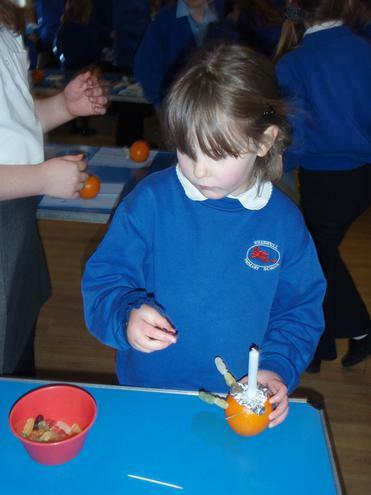 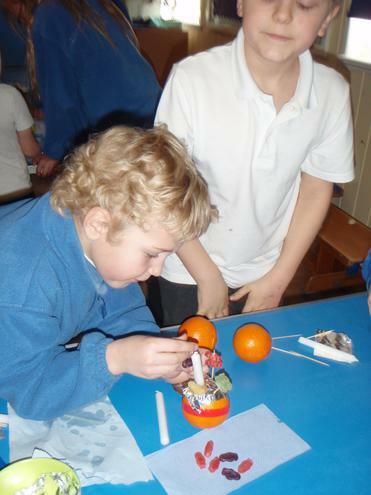 All the children are getting together to celebrate Christingle. 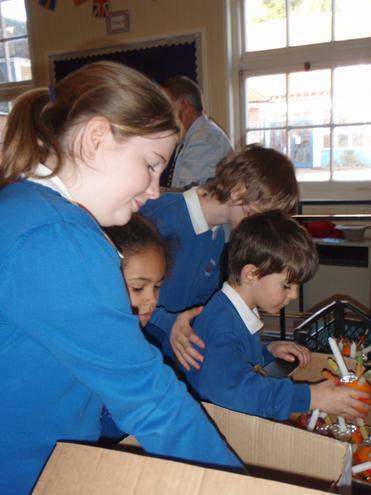 Last week donation boxes for the Children's Society were sent home for the children to put together and start their collection. 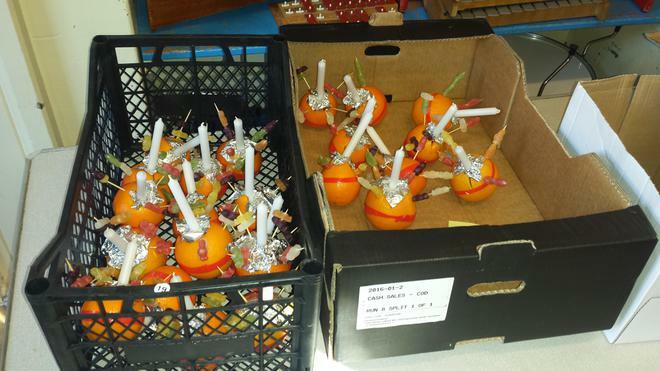 On Tuesday, with the help of the children in class 5, the whole school made their decorations and are ready for tomorrow's ceremony. 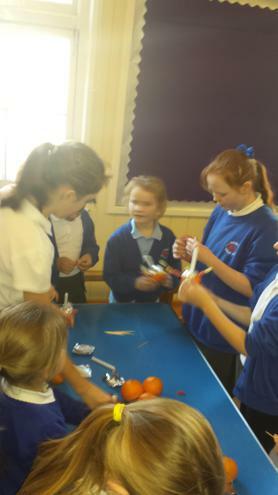 Thank you to Mrs Hearn and the class 5 children whom once more have shown how supportive they are of their younger peers. 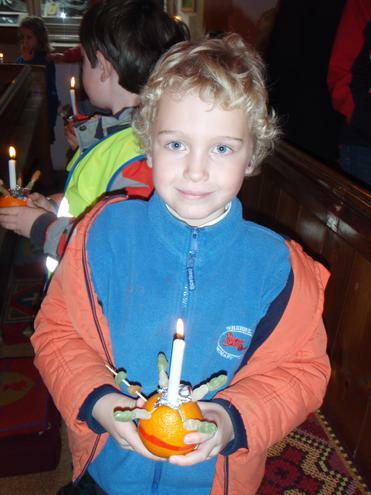 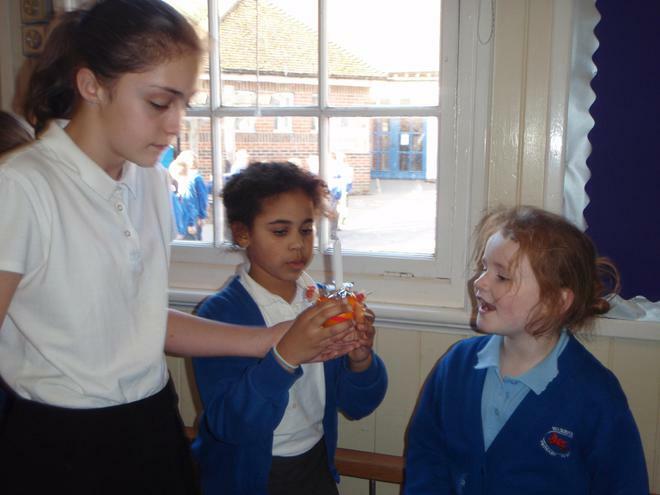 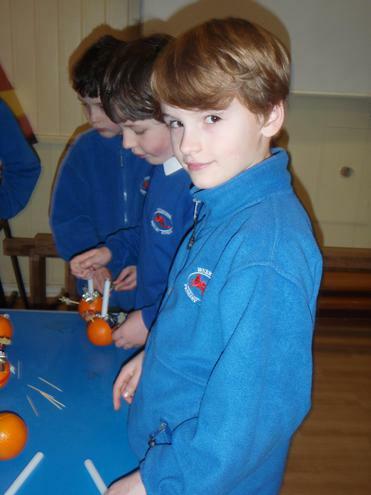 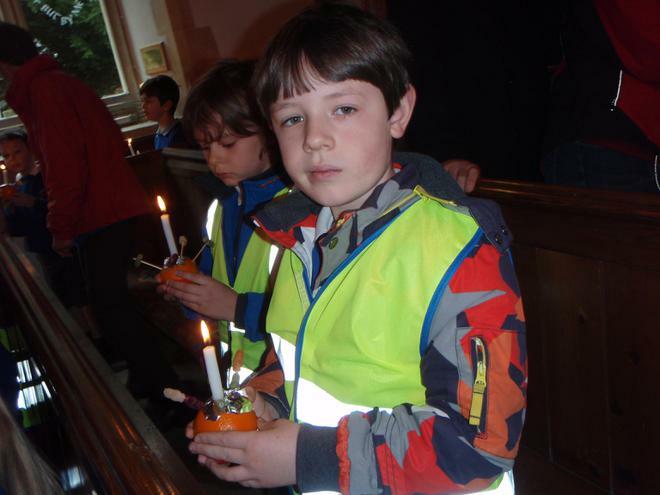 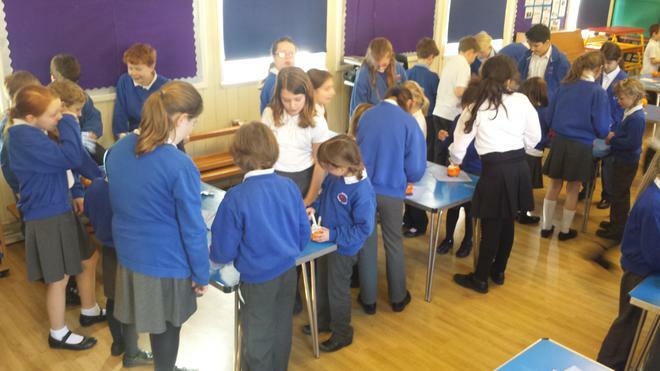 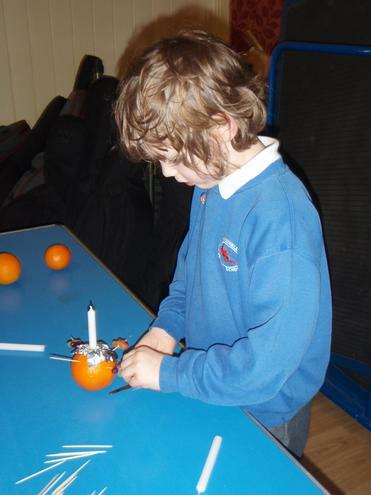 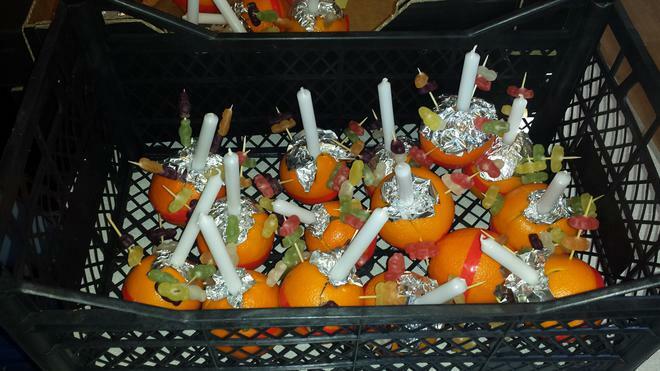 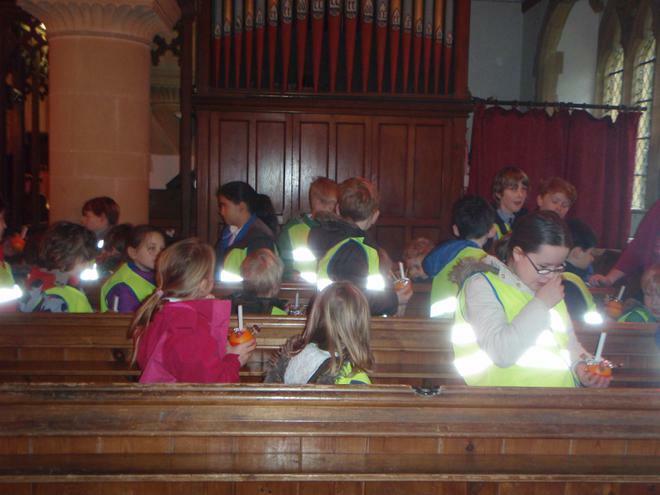 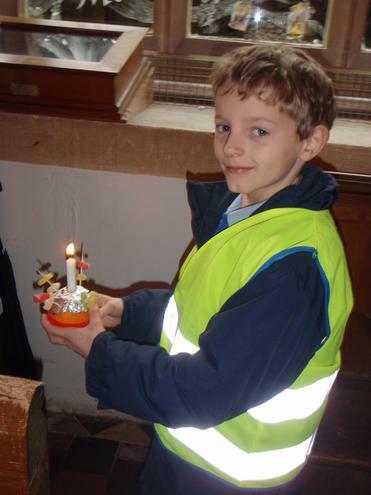 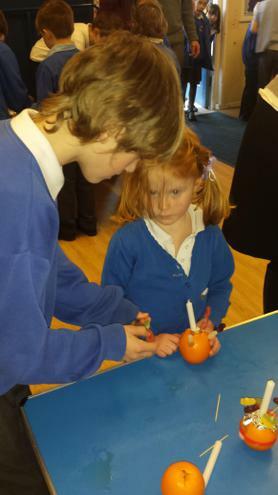 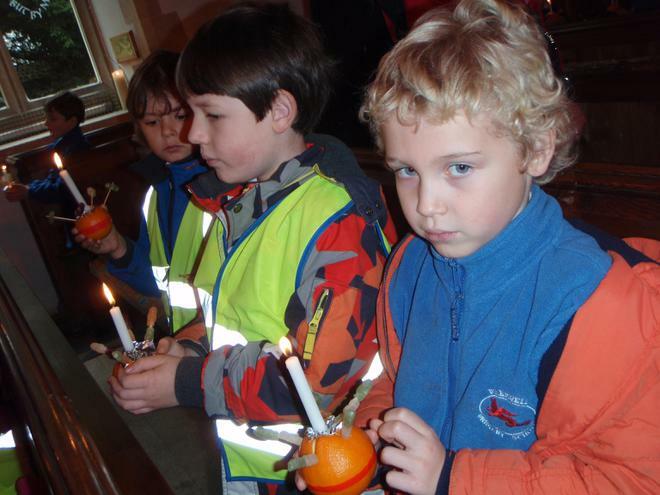 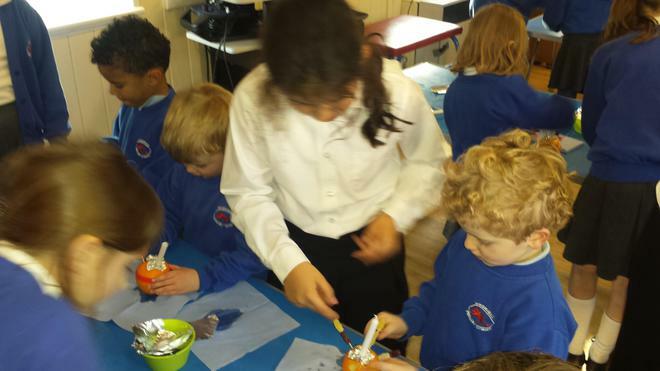 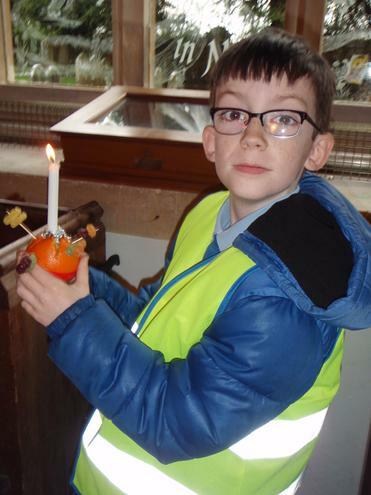 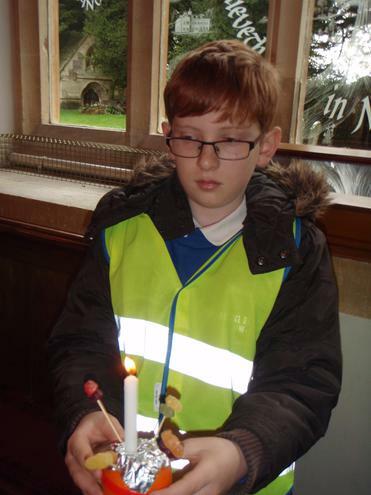 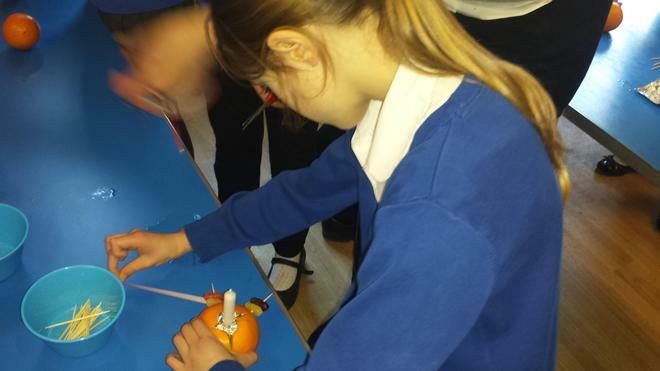 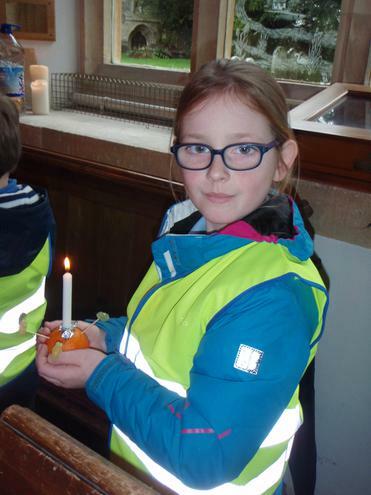 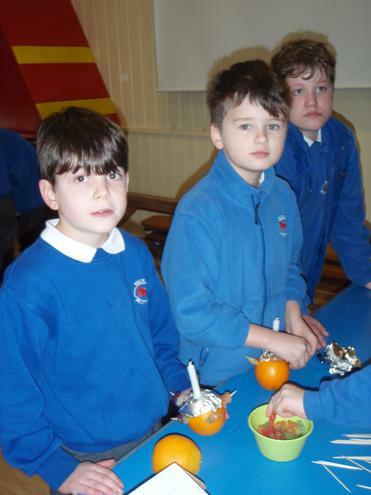 On Thursday morning the whole school walked to the Christingle Service at Wherwell Church and once again they all came together to join in the celebrations supporting one another.